Amazon CEO Jeff Bezos demonstrates the Kindle Paperwhite during Amazon's Kindle Fire event Sept. 6, 2012, in Santa Monica, Calif. Amazon's third-party marketplace accounted for 40 percent of Amazon's second-quarter unit sales and has provided a big boost to revenue. SAN FRANCISCO — Amazon.com is grappling with a problem that eBay has struggled with for years: the proliferation of unauthorized third-party sellers that undercut the world's top consumer brands. The sellers offer online shoppers goods ranging from Guess watches to LG televisions and Adidas sportswear at low prices, upsetting Amazon suppliers who want the world's largest online retailer to crack down on unauthorized discounting. On eBay, the brands mostly complained about counterfeit products sold by third parties. The problem on Amazon is that while the goods are authentic, sellers often get them from leaks in supply chains, then sell the products online at below the minimum advertised price set by the label. The brands want Amazon to help them weed out such sellers, but the online retailer prefers not to get involved, according to industry executives. Amazon declined to comment. Amazon has little incentive to discipline sellers because it takes a cut of third-party sales through its lucrative 3P (third party) marketplace, these executives say. That business accounted for 40 percent of Amazon's second-quarter unit sales and has provided a big boost to revenue and margin growth. The 3P marketplace's growth prospects will be front and center when Amazon reports results on Thursday. This platform for independent sellers is different from Amazon's traditional online retail business, known as 1P (first party), where the company buys products from manufacturers at wholesale prices and sells them online itself. "Wall Street may be excited about Amazon's 3P growth, but it's a freight train out of control," said Wes Shepherd, chief executive of Channel IQ, which helps companies monitor online prices and sellers. 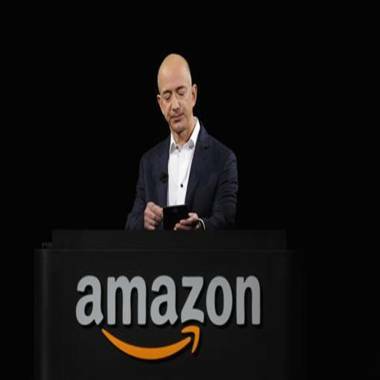 "Amazon is so big, manufacturers feel the need to be there, but at some point something has to give," he added. "Many major brands are very frustrated and are rationalizing their business with Amazon right now." Amazon shares have risen 40 percent so far this year, outperforming the Nasdaq Composite Index's 16 percent rise in part because of hopes for improved profit margins from 3P and other services. 3P sales offer Amazon gross margins of 90 percent to 100 percent, while its traditional retail business has gross margins of about 20 percent, according to Nomura estimates. To enforce the minimum advertised price, brands often withhold sales to distributors and sellers that do not comply. But when unauthorized sellers obtain a product without a manufacturer's knowledge, severing the flow becomes difficult. Unauthorized sellers are also active on eBay, but since the site does not specialize in brand-new products where pricing is paramount and does not compete as a retailer in its own right, the labels are less concerned about discounted goods there. In contrast, Amazon treads a fine line because its retail operation relies on brands supplying it with products, while the 3P operation needs lots of sellers competing on price to thrive. "Amazon has to work this out with its suppliers," said Scott Tilghman, an analyst at Caris & Co. "They will say, 'We recognize third-party sellers violate rules, but we can only police it so much.'" He added: "Depending on the breadth of violations, it definitely could dampen 3P growth." Some brands, including German chef knife maker Wüsthof, said they stopped selling goods on Amazon after the company priced some products below the minimum advertised price. When Wüsthof complained, Amazon cited competition from third-party sellers, according to Todd Myers, Wüsthof's vice president of sales in the United States. Myers said Amazon told Wüsthof to crack down on these third-party sellers itself. Others, such as Swiss Gourmet, distributor of Swiss Diamond cookware in the Americas, have threatened to pull out unless Amazon limits discounting and cracks down on unauthorized third-party sellers. Ralph Lauren, Hugo Boss AG and Guess have all protested recently about unauthorized sellers. Adidas AG plans to ban dealers listing its products on Amazon and eBay starting in 2013. LG Electronics USA started a new pricing policy this month and may cut off sellers who break it. It is not easy to curtail third-party sellers. For instance, Wüsthof had severed ties with a seller called Abe's of Maine. But that company was able to obtain Wüsthof knives from other distributors and continues to sell them on Amazon.com. When contacted by Reuters, an Abe's sales rep confirmed Myers' account. A search on Amazon on Thursday showed Abe's of Maine as a third-party seller of 24 Wüsthof items. "They can try as much as they can, but we will sell their products still," said an Abe's employee who said he was a sales representative named Lawrence but declined to give his surname. It is difficult to know how many unauthorized online sellers there are, but tracking them down for consumer brands is a growth business, e-commerce experts say. Since Channel IQ started its tracking service in 2009, the firm has signed up about 200 manufacturers, including LG Electronics, Olympus Corp, Harman International Industries Inc and Weber Grills. When Channel IQ started, it said it fielded complaints from clients about eBay sellers that mostly focused on counterfeit goods. EBay tackled this problem with a program called VeRO that lets brands request listings be pulled if they suspect fake items. In 2010, the focus shifted to Amazon. "In 2011, complaints got louder. And this year it has become frenzied," Shepherd said. Gerard Florendo, an e-commerce marketing analyst at Guess, said third-party sellers on Amazon can price "way lower" because of lower overhead. "We call it out whenever we see resellers selling below" the minimum advertised price, he said. "But we don't have a police force to enforce this. We are already stretching our resources." Sometimes unauthorized sellers can help Amazon foster a relationship with a major retailer. Home Depot, the largest U.S. home improvement chain, has an official Amazon store selling lights and fans from its in-house Hampton Bay brand, in part to compete with unauthorized sellers that have sourced Hampton Bay products through leaks in the supply chain.